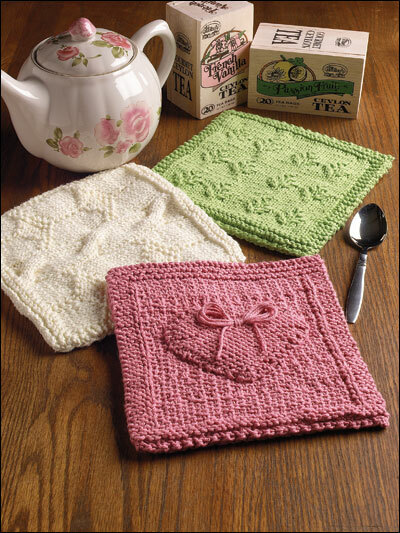 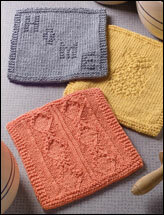 These 3 pot holders are quick to stitch and will make great gifts. 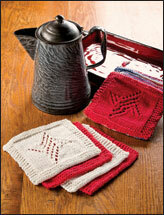 Size: Approximately 8" x 8" each. 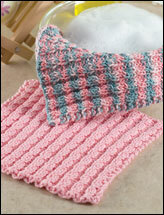 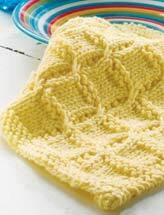 Made with light (DK) or medium (worsted) weight yarn and size 7/4.5mm needles.